Lewwis started his career with Crystal Palace, where he was a regular at Youth and Reserve levels, playing three games for the first Team and also playing three games for Palace’s feeder club Crystal Palace Baltimore in the USA on loan in April 2007. 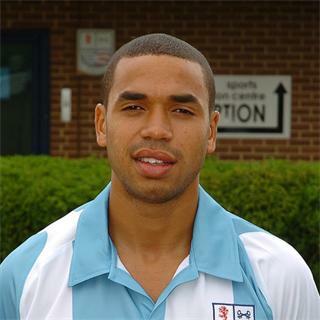 He was released in the summer of 2008, and joined Wycombe Wanderers on 16 June. In the two years he was with the Choirboys, the midfielder scored twice in 35 appearances, and during his final season there, had a one month loan spell at Forest Green Rovers in September 2009. He was released and joined Diamonds on 16 July 2010. He made his Diamonds debut in the 1-1 draw against Fleetwood Town on 14 August 2010, and scored his debut goal for the club on 23 October 2010 in the 2-1 victory over Kettering Town in the FA Cup (although he had scored a hat-trick in the Hillier Senior Cup game against Daventry United earlier in the month). He went on loan with Dover Athletic for one month on 20 January 2011, and this loan was extended when the initial period was complete. His contract was cancelled by mutual consent in March 2011 and shortly afterwards, he signed on a permanent basis for Dover Athletic, however, he was released at the end of the season. Injury led to a long lay-off and on 14 June 2012, Lewwis joined Conference North side Bishop’s Stortford, before a move to Isthmian Division One North side Thurrock in mid-February 2013. He then moved to his native Scotland later in the year, signing for Division One side Dunfermline Athletic and making 7 appearances for the club. On 17 June 2014, Lewwis re-joined Isthmian Division One North side Thurrock. He left to join Greenwich Borough for the 2016/17 campaign, but was back at Thurrock the following season. He moved to AFC Hornchurch prior to the start of the 2018/19 season.